I recently followed a discussion on Twitter after @thomasmonopoly‘s Google account was blocked for unknown reasons, denying him access to the data he’d entrusted Google with. I casually mentioned that entrusting Google to store all your data without having backups yourself is a bad idea, and @jmrowland enquired as to how you can back up stuff you create “in the cloud” (using Google). I figured I should share the Perl script I’m currently using to back up my Google contacts, calendar and Google Reader subscriptions, so I’ve uploadedbackup-google-stuff on GitHub. As I only wrote the script for my own use it’s quite basic and perhaps not particularly user-friendly, but I thought it only fair to share it; if people are interested in it, I may extend it somewhat. I’m fairly sure there are other “backup your Google account” solutions already out there already, though. Of course, backing up mail from Gmail is trivial as they offer IMAP access; I don’t rely on Gmail so I’ve not bothered with that myself. EDIT: I’ve seen Backupify recommended as a good solution for backing up your stuff from Google. Today I released Dancer::Plugin::NYTProf, which provides easy profiling for Dancer apps, powered by the venerable Devel::NYTProf. Early days yet, and a lot of room for improvement, but in my testing, it works. Just installed the CPAN Auto Link Generator WordPress plugin, which automatically matches module names and provides links to the module’s documentation on CPAN. Very helpful for anyone blogging about Perl, so thought I’d give it a link here. I’ve just released version 0.10 of Dancer::Plugin::SimpleCRUD, incorporating a new display_columns option to control which columns should be visible when listing records, kindly provided by saberworks in PR-9. Also included is a documentation fix for the editable_columns option, and implementing the not_editable_columns option, courtesy of Alberto Simões (ambs) – thanks! I just released version 1.00 of HTML::Table::FromDatabase, with a new row_callbacks feature. You could already declare callbacks on a cell-level basis, so you could say, format monetary values appropriately, round numeric columns, turn URLs into clickable links etc. Now, you can also declare a callback which receives an entire row as a hashref, which it can modify as needed. I decided to bump the version to 1.00 for the sake of anyone who considers 0.x versions to be unready for production use; this module has been about since 2008 and is working well in production use for me. The Dancer release that will get you hooked! 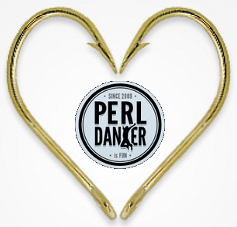 Sawyer X wrote up a good post on version 1.3050 of the Dancer Perl web framework being released – "The Dancer release that will get you hooked!". The addition of extra hooks, along with support for plugins to create hooks, heralds additional flexibility and power for your Dancer apps. – see the Dancer::hook() documentation for the full list. Plugins can register their own hooks, which your code can then make use of. Props go to Franck Cuny for the implementation, and JT Smith of Plain Black for pushing for this feature and working with the Dancer team in designing the implementation. 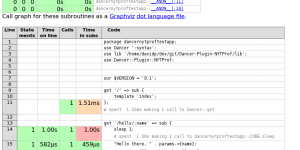 Dancer 1.3050 also includes various bug fixes and improvements – see the CHANGES file for a full list. We have an IRC bot in the #dancer IRC channel powered by Bot::BasicBot::Pluggable, and I recently wrote some new features as a distribution of modules which I plan to release to CPAN soon. Until then, you can see the code in the Bot::BasicBot::Pluggable::Module::GitHub repository on GitHub. <someuser> I've just submitted PR 517, anyone want to merge it? <someuser> What do you think of commit 0d2752 then? I plan to add more features before releasing the first version to CPAN; in particular, I’d like to add commit hook support, so the module could spawn a trivial webserver to listen for hook triggers from GitHub, and announce commits. As always, contributions would be welcomed.